Leaving high school and preparing for college is a big life change for any teen. Here are some tips to help during the application process and how to pay for your education. As you begin the application process, it’s important to be as organized as possible. Be mindful of due dates and what each college will require as part of the application process. Leave yourself plenty of time for any essays you may need to write so it doesn’t appear rushed or sloppy to the school. Set a goal to submit your applications as soon as possible so you’re not running crazy on the due date. Even if you don’t think you qualify for financial aid, you should still apply just to make sure. Filling out a FAFSA is free and will help you find grants that you won’t have to pay back once you graduate. They can also help you locate paid work-study opportunities on your campus. The more help you can get paying for college, the better. Always be on the outlook for scholarship opportunities. Expand your search beyond what your college offers since there is a scholarship for just about everything these days. Have red hair? There’s a scholarship for that. Taller than 6’ 2”? There’s a scholarship for that. Have a talent for duck calling? There’s a scholarship for that. Start googling because even a $500 scholarship or grant here and there can be a major benefit. Even with the advantages of scholarships and grants, you may find yourself needing to take out student loans. This can be an intimidating process, so here are tips to make it a little easier. Start with federal loans as opposed to private loans. They usually offer fixed interest rates and have income-driven repayment plans. 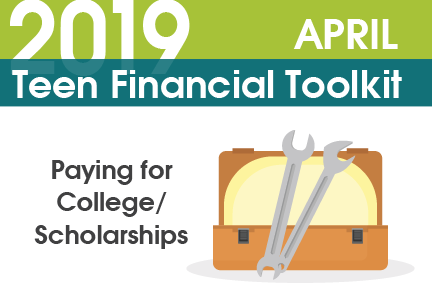 You can find options for federal loans when you complete your FAFSA.